I have now start to do home educating with Henry, to encourage his writing skills. I got two books which were Easy Learning First Words and First Sums, from Whsmiths. I am just doing one book at a time at the moment along with a book which is First 100 box set. 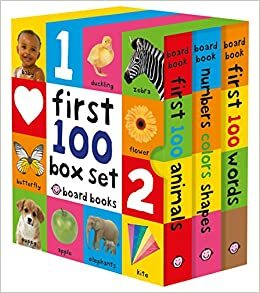 This contains 8 books with different pictures, to help you child make association with words and images. I am introducing these books as way to help Henry with his writing and reading skills, ready for when he begins school in September. I will post more as I continue to home educate, as this has been a lesson for me too. Making gradual steps is the key I have found so far. I would love to know what tools you use to home educate your child aswell. I’m almost graduating my oldest and I honestly say, it goes so fast. Make ‘enjoying it all’ your goal…even though there will be many of ‘those days’ and ‘those moments’. You can do it!